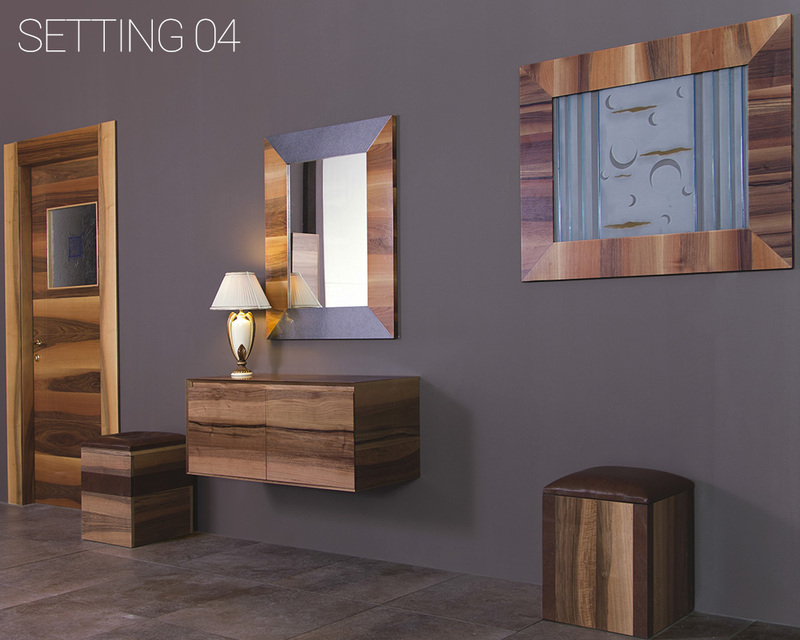 Roberto Straccia produces a furniture line and matching pieces, conceived with elegance, beauty and versatility. 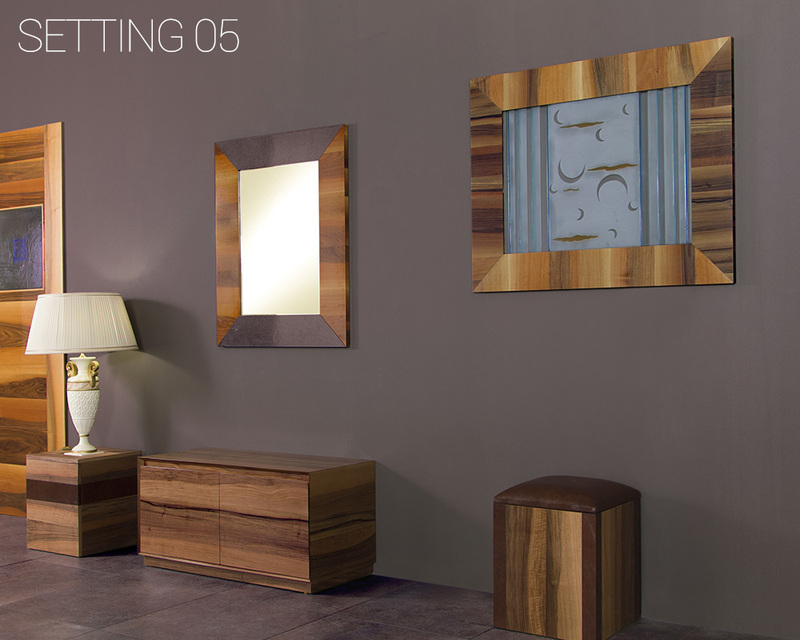 The furniture is fashioned with precious woods and accurate finishes. Its modern and linear design makes it adaptable to every room of the house. 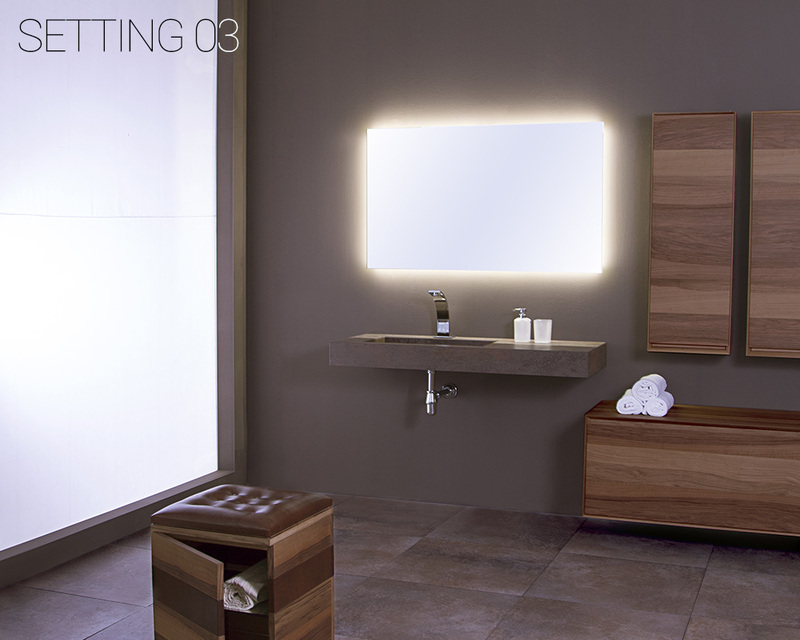 The tallboys and the drawers can be used as bathroom elements, for the entrance hall, and also as bases for lamps. The poufs are pure expressions of elegance and design, with authentic leather or e-leather made details. Every model is designed to join the best comfort and functionality, as well as for a double use: the top-opened model can be used as a container; the front-opened model with mirrored shelves, to store shoes and objects. 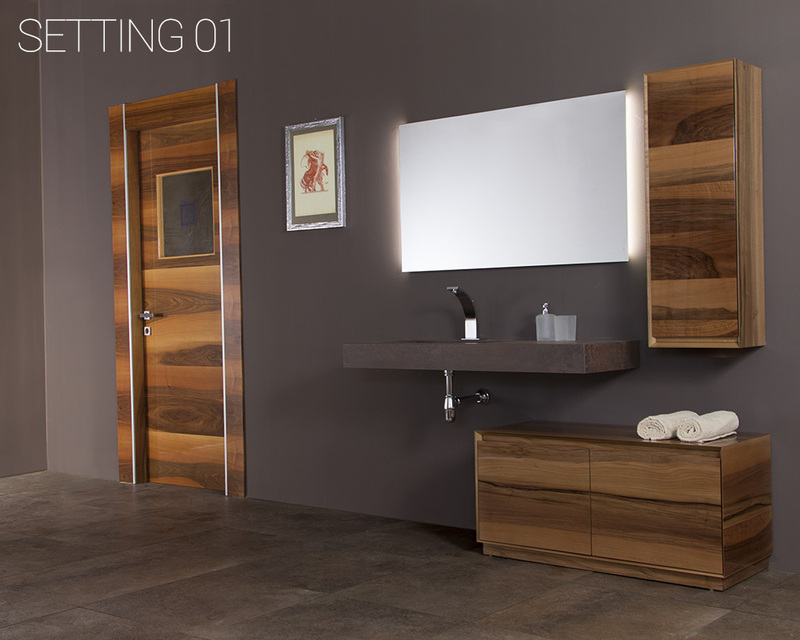 Other elements matching the furniture line are mirrors, paintings, doors with porous polish finishes or matt wood grain finishes, and frames. The frames have the same width of the door escutcheons belonging to Roberto Straccia’s “Orizzonte collection” , and surround paintings created with patterns carved in the glass. They’re unique and limited productions, and few pieces are avalaible. And the best design performing model among the pieces of Roberto Straccia’s collection is the chair: a highly aestetic sample, with the back manifactured in a single piece of European walnut wood, curved and finished with a porous polish. 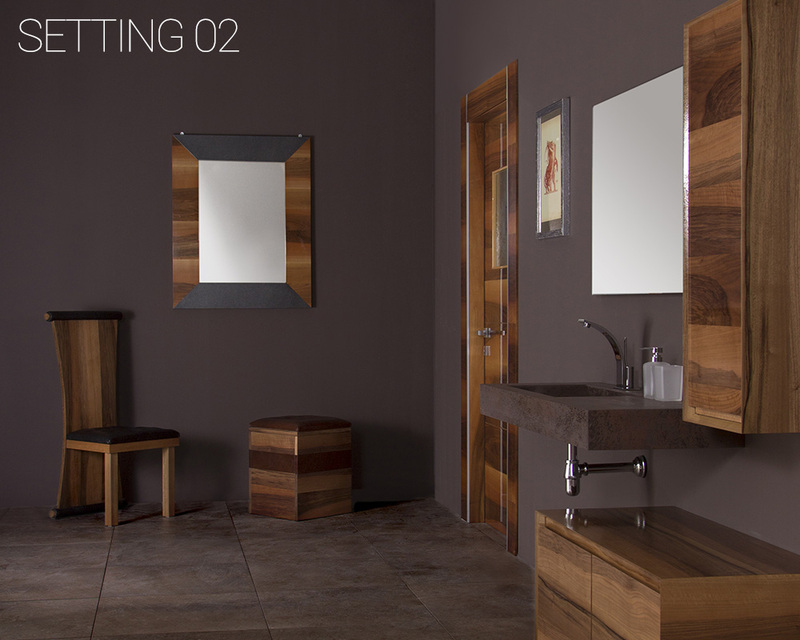 Unmatched features – the seat and top coated in matching leather or e-leather, the squared, all-wood foots, contrasting with the curves of the structure – thought for high design and beauty lovers , and that resemble the regality of the ancient thrones.